So said Blaise Ducos, the curator of 17th- and 18th-century Dutch painting at the Louvre in 2010 as he vainly tried to persuade sponsors to donate the millions needed to buy what was, in his words, a “masterpiece painted by the great Dutch artist”. Now, nearly a decade later, the portrait of an unknown man, which bears Hals’s signature, is at the center of a trial beginning on 2 April at the Commercial Court in London, the culmination of a long-running legal battle between Sotheby’s and the London-based art dealer Mark Weiss. Sotheby’s sold the painting privately in 2011 to the American collector Richard Hedreen for $11.2m when the auction house was acting on behalf of Weiss. The work had been purchased from Giuliano Ruffini, a Frenchman living in Northern Italy. However, the painting was later declared to be “without any doubt, a modern forgery“ by James Martin, now Sotheby’s director of scientific research and the founder of the Sotheby’s-owned Orion Analytical laboratory. In 2016, Sotheby’s refunded Hedreen in full, but the auction house is still trying to recoup its losses from Weiss and his gallery. The auction house has also filed a claim against the London-based company Fairlight Arts Venture, which was caught up in the deal. No-one had heard of the portrait until it surfaced at Christie’s in Paris in November 2007, proposed by Ruffini, who told us later he had bought it from the “boyfriend of a Spanish diplomat who had died in south-western France”. The Louvre was keen to buy the painting, so in October 2008 the French ministry of culture classified it as a national treasure. The panel was briefly submitted to the National Museums’ laboratory, which praised “the remarkable state of conservation” of a painting that did not show any sign of corrections by the artist and “barely any restoration”. However, the Louvre never raised the asking price. The painting was withdrawn from Christie’s by Ruffini’s son and put in storage in Paris, where it was shown to Weiss by an intermediary, who asks not to be named. The price tag, Ruffini tells The Art Newspaper, was €3m. The sale was concluded in June 2011. The painting attracted the attention of Sotheby’s, which showed it to Hedreen, a property developer from Seattle. He bought it for $11.2m, of which Weiss received $10.7m; Sotheby’s took $537,500 commission. However, things turned sour after the alarm was raised in March 2016 when police seized a painting of Venus, purportedly by Lucas Cranach the Elder, from an exhibition in the South of France on the suspicion that it could be fake. The Venus had also belonged to Ruffini before it was sold to the Prince of Liechtenstein by Konrad Bernheimer in 2013. It became clear that Ruffini was at the center of an investigation into a series of paintings and drawings, some of which passed through Sotheby’s Paris office, including a painting of Saint Jerome that the auction house now alleges is a fake Parmigianino. Sotheby’s New York suggested to Hedreen that his portrait is analyzed by Orion Analytical. It purportedly revealed two modern pigments: blue phthalocyanine in the material under the layers of paint and white titanium in the painting itself. Weiss strongly disputes these findings and says that the portrait “is a genuine Hals and one of the finest works I have ever handled”. 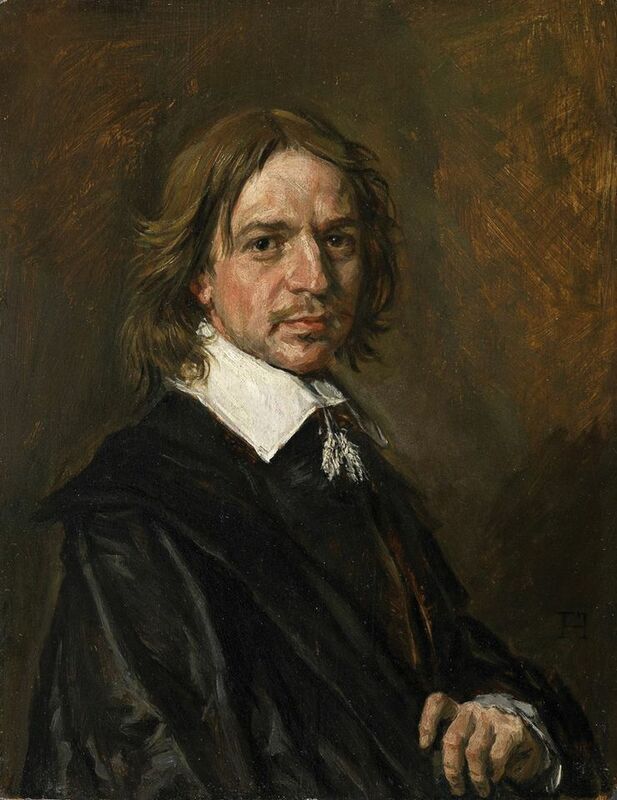 He names a long list of those who “authenticated the portrait”, notably the late art historian Seymour Slive and Pieter Biesboer, the former chief curator of the Frans Hals Museum, who said he “immediately recognized the fluidity and freedom of Frans Hals”.